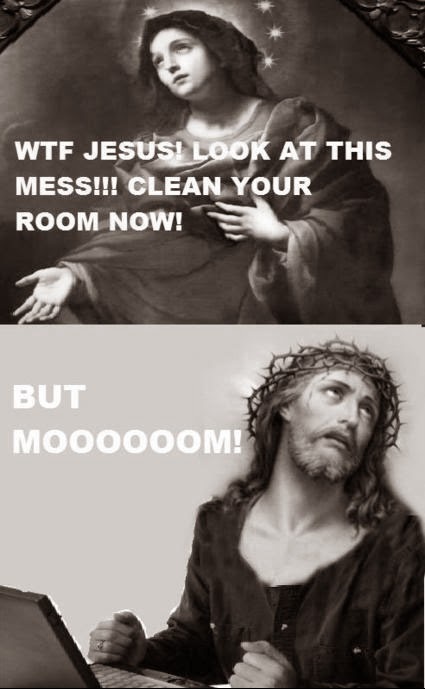 Funny Mary Tells Jesus Tidy Room Joke Picture - Mary: WTF Jesus! Look at this mess! Clean your room now! But Moooooooom!